Julietta Fix edits and curates FIXPOETRY, a wonderful and ambitious web portal dedicated to poetry, literature, culture and art. 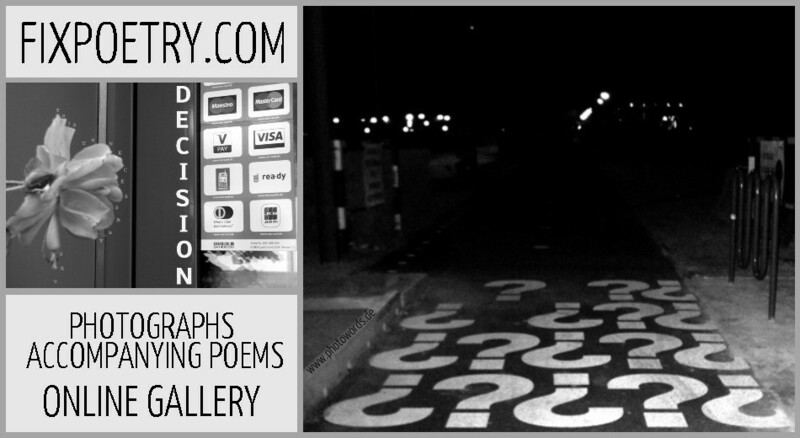 The series 'URBAN WHISPERS' is shown in an online gallery at FIXPOETRY. Please have a look: 'FIXPOETRY Salon' - Artist's site. in 'Poetryletters' nos. 181 and 186, too. 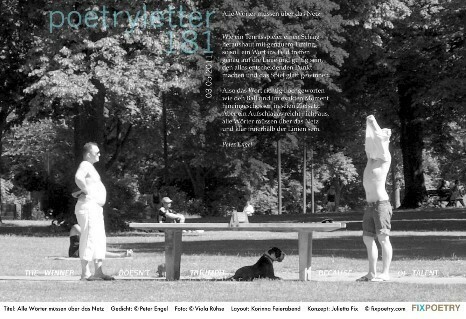 Please click on the pictures above to see the 'Poetryletters' in big size. 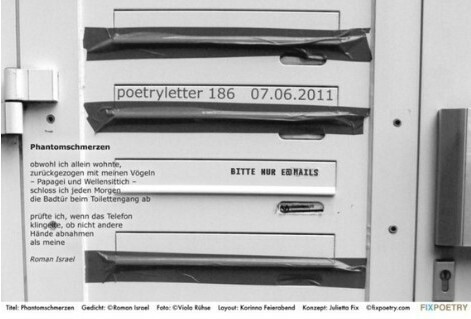 Please note that the copyright for the two 'Poetryletters' above is reserved by www.fixpoetry.com.